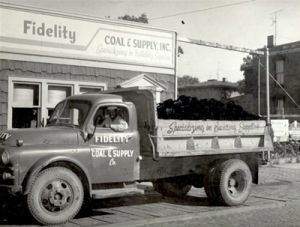 Since it’s inception in 1897, Fidelity Builders Supply, Inc. has been the oldest building supply company to remain at the same location in Lima. Putting the customer first and always going above and beyond the call of duty. Do what it takes to purchase products at a competitive price and pass those savings onto you, the customer. Standing behind our word and fulfilling our customers requests in a timely manner. 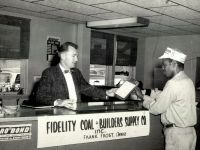 Being a brick mason and customer of Fidelity Builders Supply himself in the mid 1950’s, Frank Frost knew what to look for in a building materials supplier. It was those specific principles that he built the company around after purchasing the business on May 1, 1958. Putting his financial and personal life on the line, Frank Frost had nothing but drive, honesty and integrity behind him as he presided over the company until his retirement in 1983. 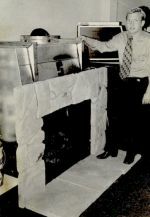 In addition to creating a solid business foundation for future generations, Frank Frost was successful in developing strong vendor and customer relationships that still exist today and has been credited for his community involvement and support. Although retired, Frank still remains a vital resource and asset to the company. 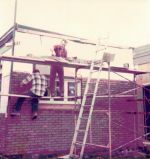 In 1974, Greg Frost, son of Frank Frost, joined the business and alongside of Frank helped expand the product lines offered to include Roofing, Doors & Windows as well as Drywall and Steel Studs. Greg’s hard work and dedication to the business proved to be more than successful, as the company’s service area and customer base has drastically increased. . Experiencing first hand the obstacles and hurdles of running a second generation business, Greg has been sure to instill the proper knowledge and ethics of business to future generations. Much like Frank, Greg has demonstrated community support in local organizations and programs throughout the years. Although his humanitarian efforts have gone unpublicized, his compassion has been felt by many. In 1999 and 2001, Robb Frost and Dave Frost, both sons of Greg Frost, officially joined the family business. Starting young, sweeping warehouses, stacking brick, and eventually making deliveries, Robb and Dave know what it takes to work from the bottom up. Robb Frost, Treasurer of Fidelity Builders Supply, Inc., serves many roles at Fidelity Builders Supply, Inc. including Inter–Office Operations Manager, Delivery Dispatch, and Showroom Sales. Dave Frost, Secretary of Fidelity Builders Supply, Inc., serves as Commercial Sales Representative, along with aiding in inter–Office Operations, and Showroom Sales. Both Robb and Dave have followed the Family Tradition of community involvement and support by being active in Rotary International, Habitat for Humanity, Lima Chamber of Commerce, Allen County Visionaries, and the St Rita’s Business Honor Roll. 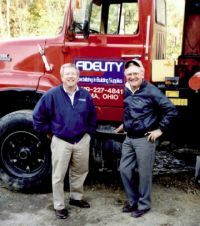 To this day, the Frost’s remain thankful to the long–term employees that have been and will continue to be instrumental in the success of Fidelity Builders Supply, Inc.